01. 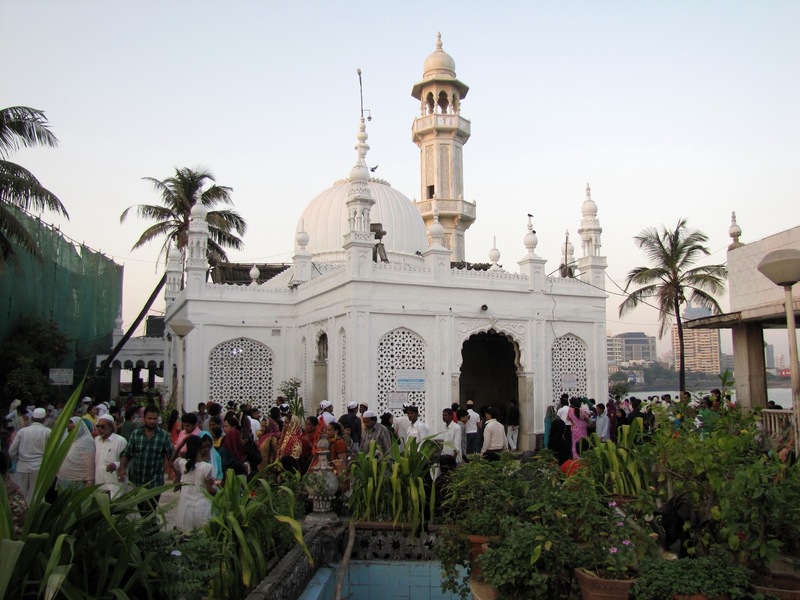 The Dargah is a tomb and a mosque that is named after Pir Haji Ali Shah Bukhari, one of the greatest muslim saint of his time. 02. The saint died while on his trip to mecca, and his casket miraculously came floating back to this place. In the saint’s memory, the dargah was built in 1431. 03. 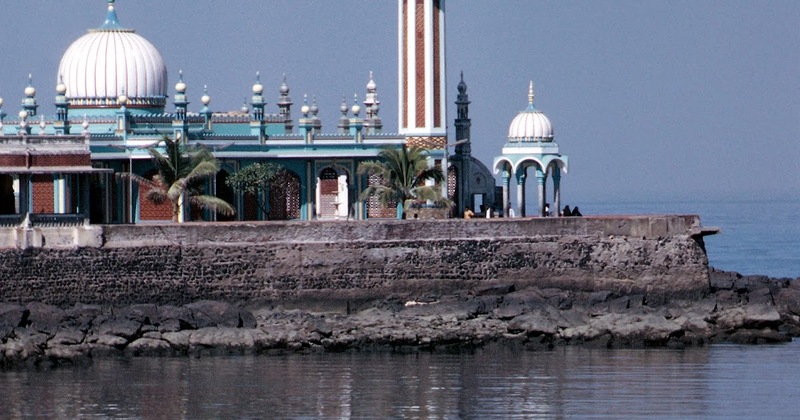 The Haji Ali Dargah is built in Indo-Islamic architecture. 04. It is one of the most known landmark of Mumbai. 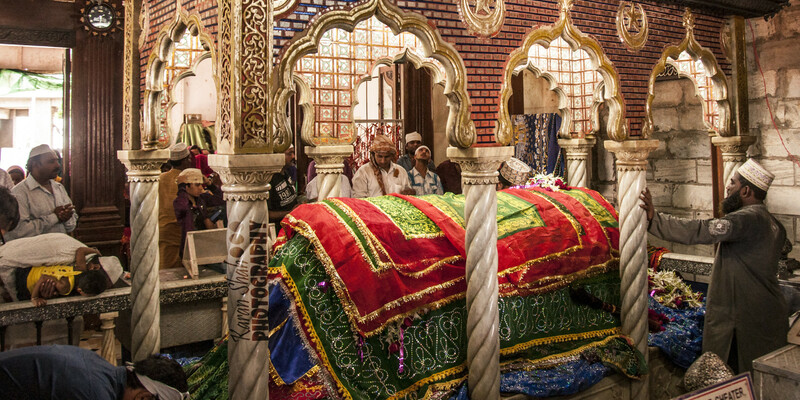 The dargah has around 8,000 visitors every week and not every visitor is a Muslim. 05. The dargah stood still and remained unharmed during the storm of 1949 and floods of 26th July. During the monsoon season almost all the roads of Mumbai become rough and have potholes. 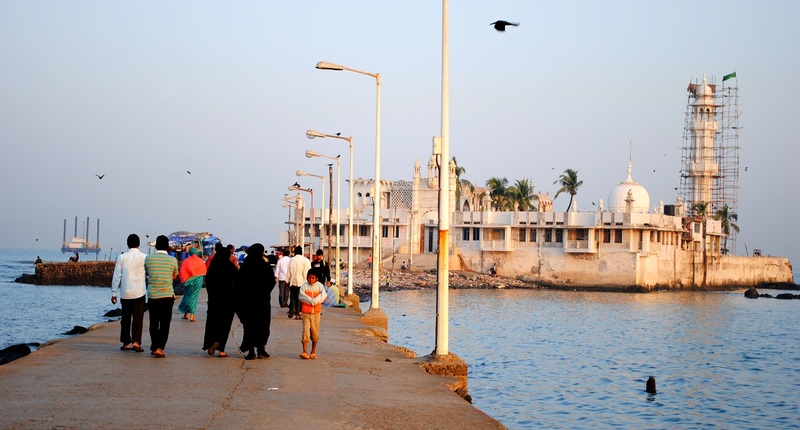 The shore line along the Hornby Vellard (Lala Lajpat Rai Marg) has been damaged numerous times due to the fury of the seas but up till today the pathway of the Dargah has never been damaged or become unsafe for the people to reach the Dargah Sharief even though it is situated in the middle of the Sea. The pathway has been spared by the fury of the sea and the monsoons. This is one of the biggest miracles of the saint, hundreds of years after his death. In 1949 there was a big storm in Mumbai, which had not spared a single building without damage, but there was no damage to the Dargah, Sanatorium or the Pathway. There were waves of the size of mountains (like Tsunami) and most of the people who were inside the Dargah Complex were scared that they would drown. The waves then bowed down at the wall of the Dargah as if in submission to the Saint and faded back into the ocean. At the time, Earthen Lamps (Chiraags) were seen floating on the crest of the waves which was witnessed by hundreds of people. The people then returned home safely, unhurt & unharmed and without any damage to their property. During the heavy rains on 26th July 2005 there was a huge destruction over most of the parts of Mumbai but the Haji Ali Dargah was not affected by this incident. Firs time 1963 I visited Haji Ali Dargah with my parents.